For one 12” block I cut eight cream white 4” squares and of each blue fabric four 4” squares. 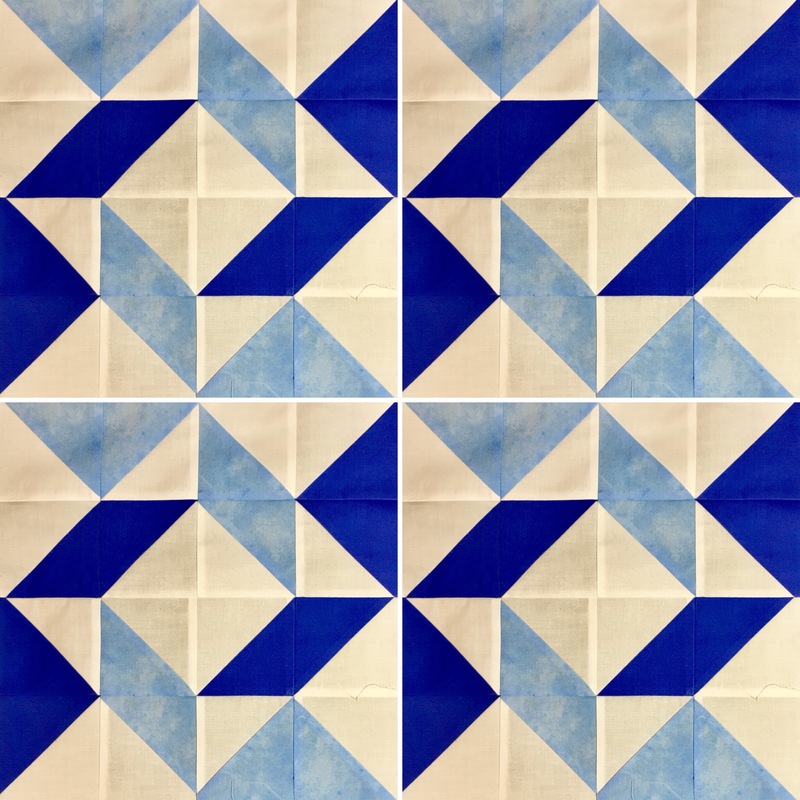 Pair the squares right sides together, one cream white and one blue, draw a diagonal line on one side. Stitch 1/4” from this line on both sides. Chain stitching saves thread and time in this case. Cut on the line. 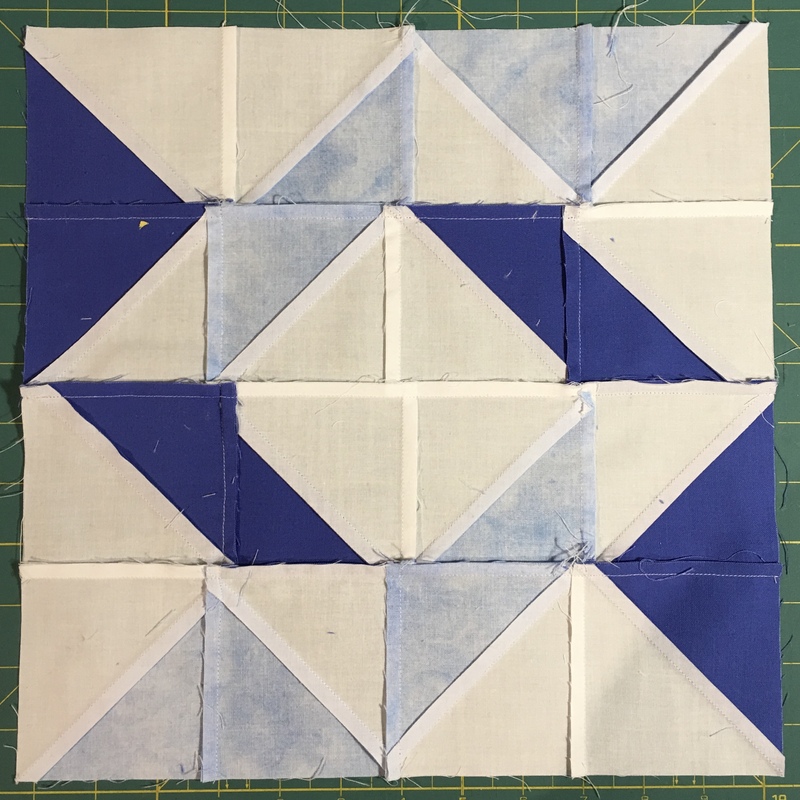 Press the triangles open with the seam allowance towards the blue side. 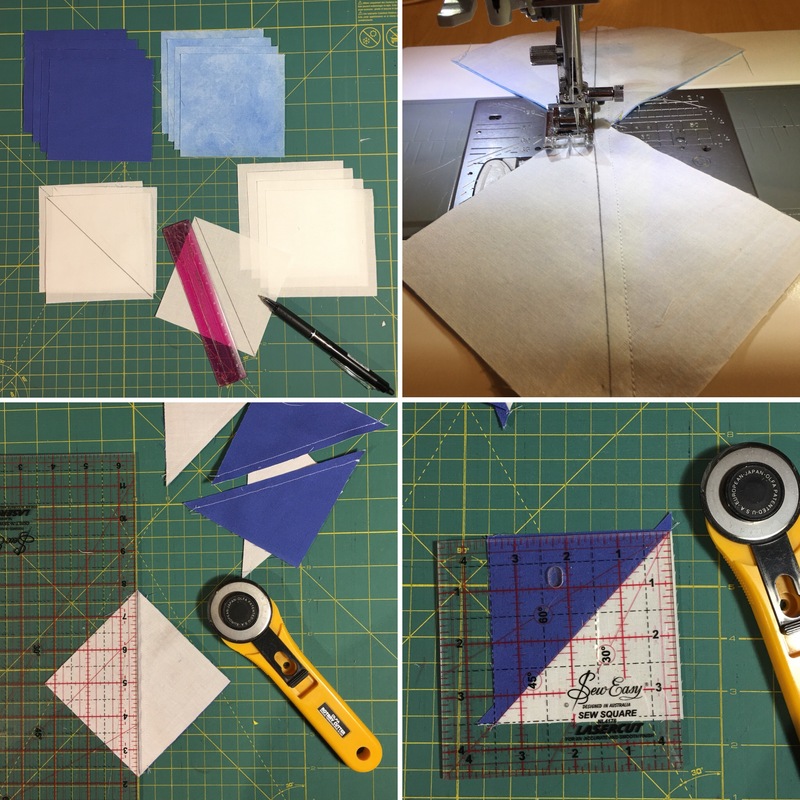 Trim each half triangle square to 3 1/2”. Make sure the seam goes from corner to corner. You now have eight squares of each colour combination. Lay them out as in the top right picture above and stitch them together into first pairs and then four rows with four squares in each row. Press the seam allowances in alternate directions on each row to minimise bulk when sewing the rows together. 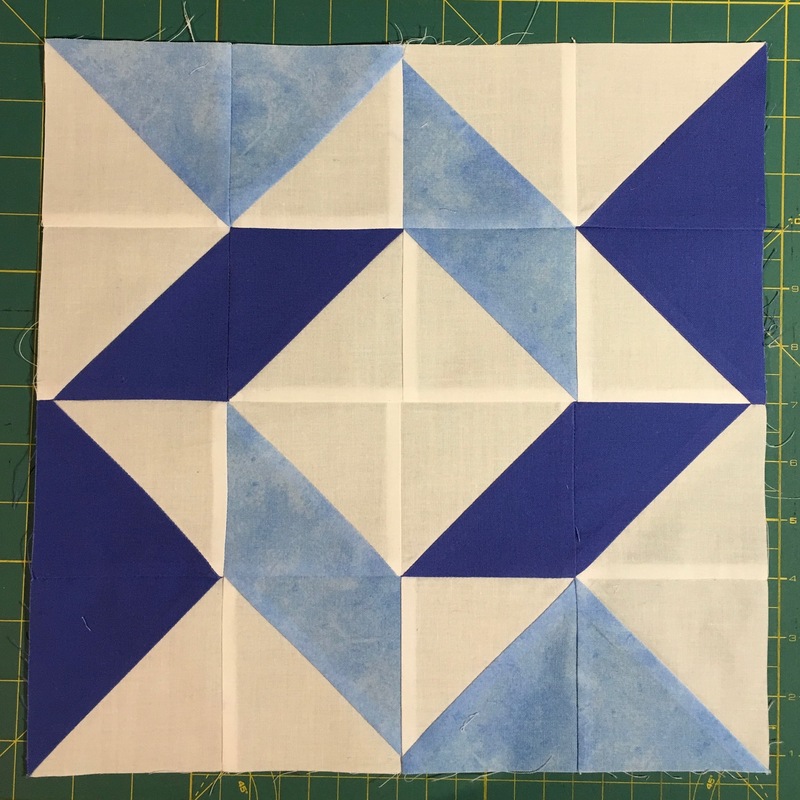 This is an easy quilt block to sew with endless colour combinations, just remember the light and dark fabric. 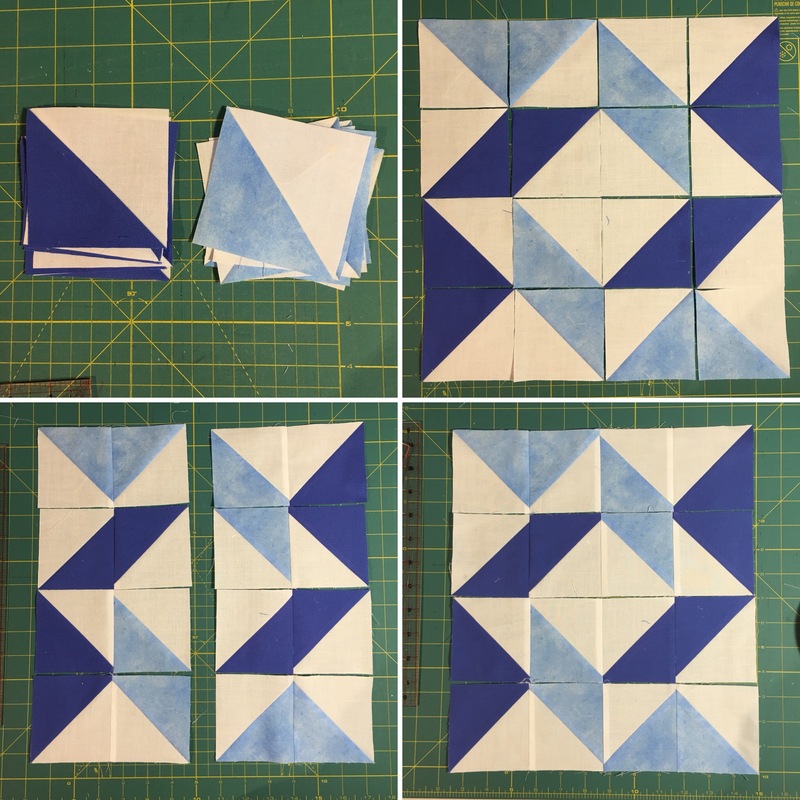 Here is another way of making the windblown quilt block. Hope you have lots of fun sewing and take care!